The London Stock Exchange is migrating trading to its MillenniumIT trading platform today in a move that will see its ailing .Net-based Tradelect system switched off. This in one of the most important days in the company's 200-year history and the technology move will be key if the exchange is to succeed or fail in becoming a top five global trading venue. The switch comes after 16 months planning since Computer Weekly broke the news that the exchange was going to acquire Sri-Lanka based trading software developer MillenniumIT for £18m. In June 2009 the London Stock Exchange realised that Tradelect, which took four years to develop and cost £40m, was not good enough to cater for the growing numbers of algorithmic traders. The exchange faced a massive challenge as it attempted to attract growing numbers of computerised traders to reverse declining market share. New competitors to the London Stock Exchange, known as multi-trading facilities (MTFs), have emerged as a result of the Markets in Financial Instruments Directive (Mifid), introduced in November 2007 to liberalise the sector. MTFs such Chi-X and Bats have increased the performance and speed of their trading systems, putting the London Stock Exchange under pressure. Competitors were boasting the ability to complete trades in microseconds compared with Tradelect's 3.7 milliseconds. MillenniumIT promised the London Stock Exchange the opportunity to compete technologically. The acquisition also brought offshore development skills in-house, saving £20m a year paid Accenture to support Tradelect. 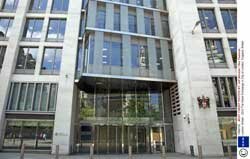 The London Stock Exchange Group has already moved its alternative trading venue, known as Turquoise, to MillenniumIT. Turquoise, which is an MFT, was taken over at the end of 2009. In October Turquoise was migrated to MillenniumIT from its own trading software made up of highly customised off-the-shelf software. Later that month the exchange said the average time taken to complete a trade is 126 microseconds, with 99.9% of trades completed in less than 400 microseconds. This made it the fastest in the world. But the transfer has not been problem-free. In November Turquoise suffered a major outage when trading stopped for two hours. The London Stock Exchange said human error caused the problem and it had nothing to do with MillenniumIT. A view backed up by Computer Weekly sources who said there was a network failure when a contractor put out a change in the live environment by mistake, when it should have been put in the test environment. The London Stock Exchange has not confirmed this. The migration of the London Stock Exchange main market to MillenniumIT was put back to February 14 as a result of the crash, having originally being planned for late last year. The London Stock Exchange says it wants to be a top five global player. To do this it would have to merge with other exchanges. The switchover comes days after the announcement that the exchange might merge with the Toronto Stock Exchange.